Woot. Looks good. Released 26th January. 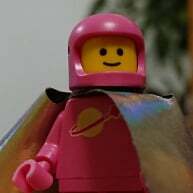 Anyone know who is packingbit with the minifig in UK? So, is this going to cost $50-60 like normal Lego games? And, when they were showcasing all of those Iocations, were they from levels or were they free play? From what I gather the New York locale is open world and the others are levels, like other games, that once completed wwill open up a little in free play mode. But hasn't Lego already done a New York Free Play in the first game? How different can you make a Lego New York? Sounds like this ones bigger. From that brief glimpse, I got the feeling that the locations were legit (albeit small) hub style areas as well, rather than levels - maybe like the mini-hubs the Lego Movie game used, or Batman 3's Lantern worlds (but flat). As for New York, they don't need to make it different, I loved the first one just fine (except for the flight controls, hopefully they've kept the far superior Batman 3 version). This looks uber-good to me. I agree that it's probable that the other places will be like the Lantern Worlds, whereas New York will be bigger. Who knows, Malibu may end up being like the Batcave in Lego Batman 3! :D I just hope there's not a person like Green Loontern :O That guy was worse than Jar Jar Binks! @ethanjwall, just looked it up, its from an episode of the Duck Dodgers cartoon, Daffy gets Hal's uniform in a mix up at the dry cleaners & becomes the Green Loontern, so unless MARVEL did something similar around the way, I think we're pretty safe. Really looking forward to Lego MARVEL Avengers, just hoping that Nintendo won't miss out on any DLC for this one & that our local game shops don't pull their usual crap with the pre-order bonus polybags, namely claiming that they are only for Playstation & XBox copies of the game. @VorpalRyu - hate to tell you but it's looking like the Wii U version isn't getting the polybag on preorders in the UK, don't know if there's any link between what we get and what you get over there. @Shib, I've spoken to a few people on the matter, over here at least, it's an issue to do with staff pocketing the polybags & citing that the offer isn't for the Nintendo version (no mentions of only for title on 'x' or 'y' game systems in advertising). When I got my copy of Lego MARVEL Superheroes & Lord of the Rings, they pulled this crap, but a 'helpful' staff member would offer that I could buy one off him for $20-25... The current manager at my local EB Games has told me it was an issue in the past, but head office is targeting staff that have been doing stuff like this, looking stamp out these kinds of cons. Ah fair enough, ours tend to come with an additional outer box that uas the poly in to stop that kind of thing. @Shib, sounds like Tt Games should have been doing the same over here. Anyone else seen this? If this is what we can expect from LMA, looking forward even more. What's the going consensus on new Lego Avengers Gamestop exclusive silver centurion Iron Man poly? Is it cheaper to get it with the game....even if you don't play the game that much....or just buy it outright...hopefully cheaper. Plastic Man seems to be ready available. I would get it with the game, as the game looks amazing. Two exclusive DLC packs for Sony, one with all the Ant-Man characters & one with several characters including Scarlet Witch, Falcon, War Machine, etc... So for those not playing on a Sony console not really the Avengers. Nice pandering to Sony Tt Games, guess I know what console Tt Games think I should own, seriously reconsidering supporting them. Anybody get their Silver Centurion Iron Man with Lego Avengers being released today? It's a nice looking fig. It's just too bad I have 4 other Iron Men kicking around.